It’s that time again, friends! 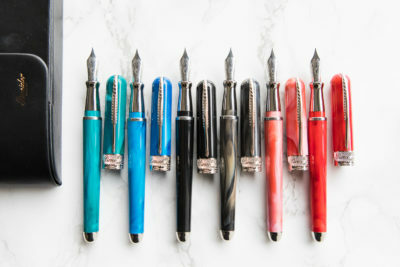 Ink Review time! Hey all! 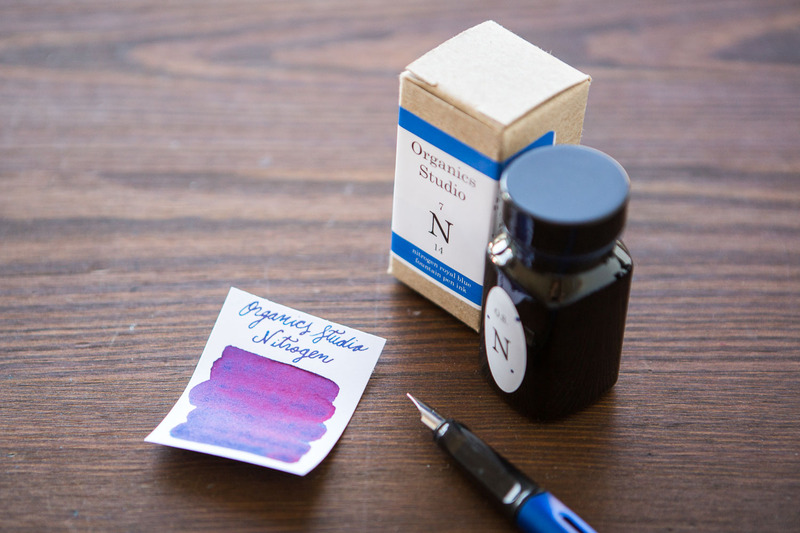 Jenni here, and today I am bringing you another beautiful ink for review. 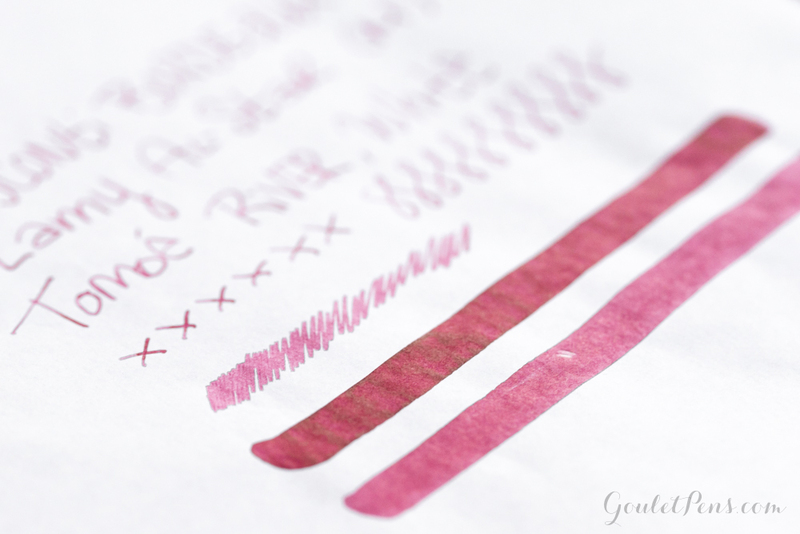 Last week Sarah chose Visconti Bordeaux with a Lamy Joy for her fountain pen friendly Monday Matchup. After talking with Sarah about the ink and seeing the beautiful imagery she was able to achieve, I was practically begging to get it in my pen. 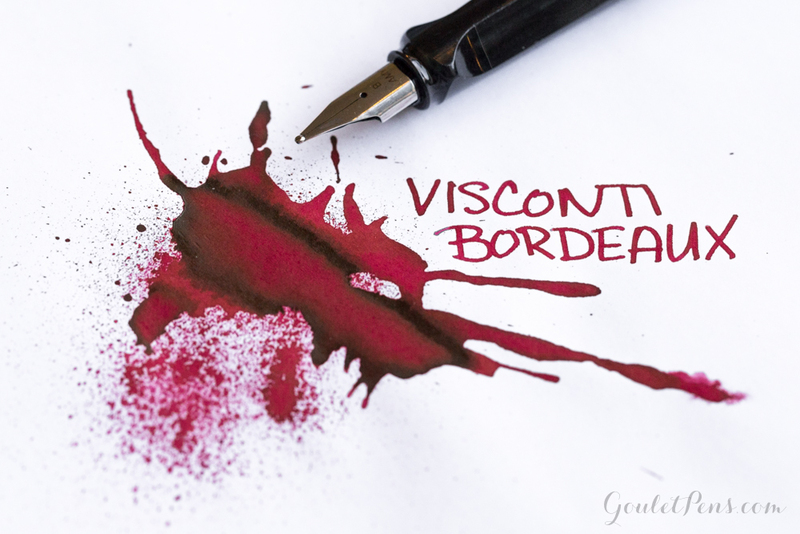 Does Visconti Bordeaux live up to all the hype? Read on to find out! 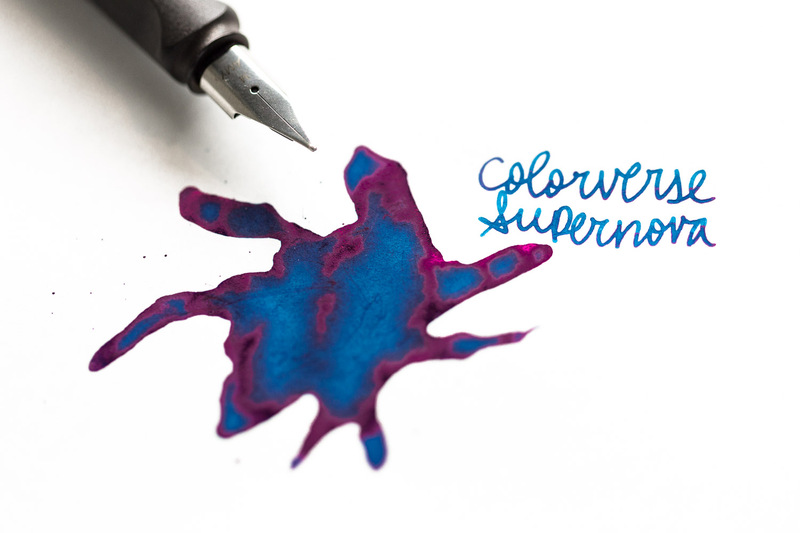 Slow – When writing with this ink, you will want to wait awhile to turn the page. 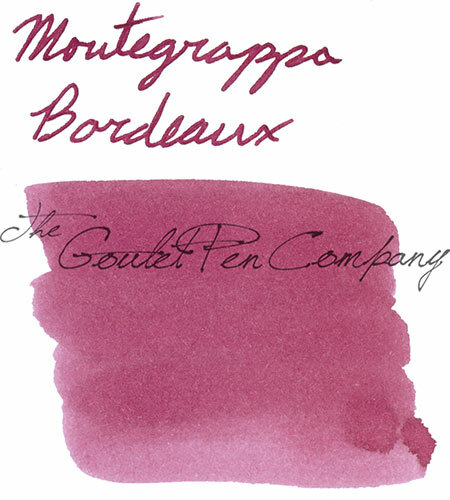 Bordeaux has a dry time of 30+ seconds, which is the longest dry time for an ink that I have ever reviewed. 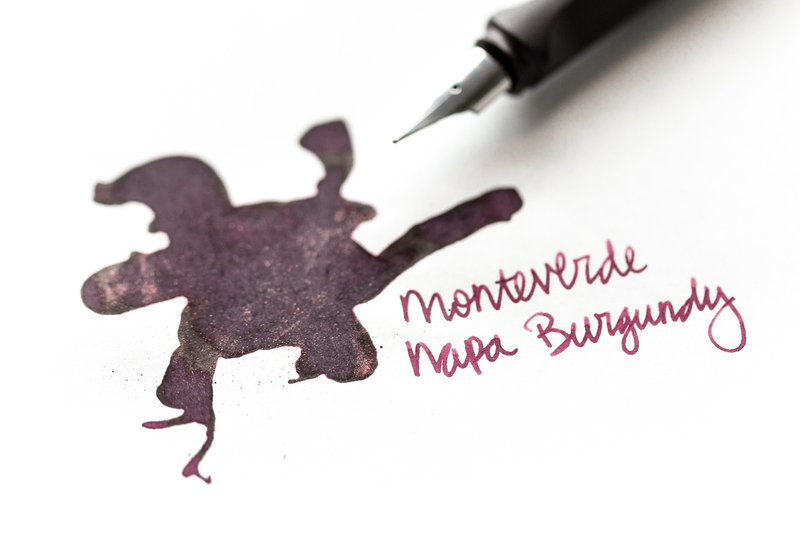 Let the ink dry completely before moving on to avoid smudging or smearing. Low – If you were to accidentally spill water across a full page of Visconti Bordeaux writing, you would be left with a hazy pink mess. That being said, the ink doesn’t completely disappear when water is applied. 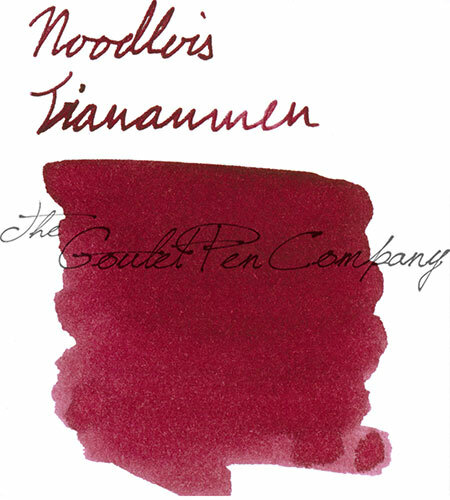 As you can see in the test above, the lines of the ink are still readable (although more of a pink hue than red), but the effect is not as desirable as a freshly written deep red line. 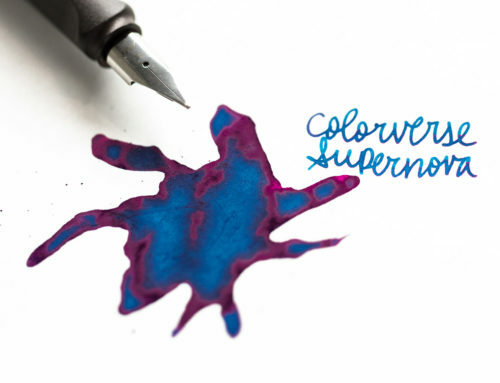 Low – While writing with this ink I discovered that you don’t always get the same amount of color saturation in each letter. 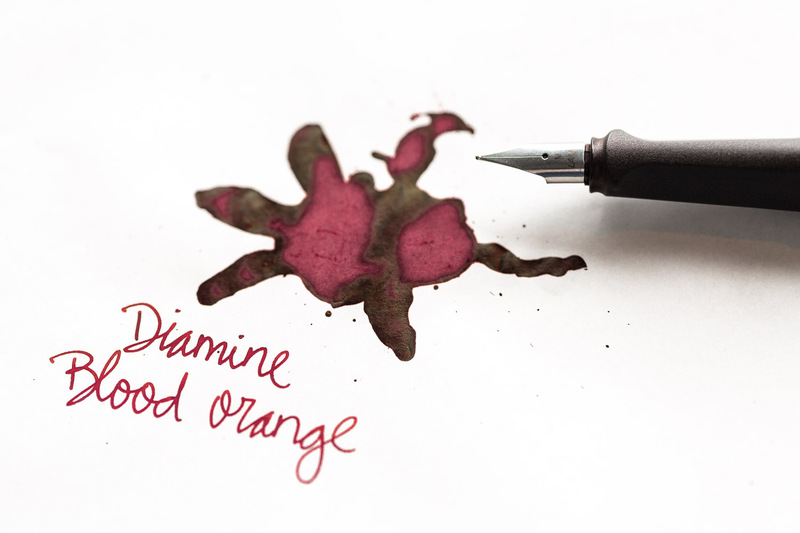 Larger nibs will produce a much deeper and darker red than thinner nibs, which can sometimes produce a lighter pink/purple hue. You can also see from the swab test that when there is more ink applied (Swabs 2, 3) it will produce a deeper bolder color which proves a lower saturation within the ink. 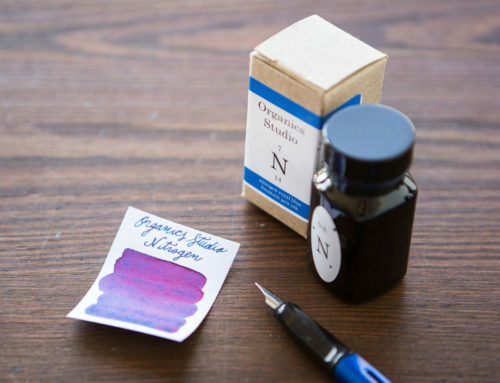 Medium- This ink did clean out of my pens and nib quite easily. BUT if you are using it in the same pen for longer periods of time be aware that the dark red has a possibility of staining the converter which can be a challenge to undo. 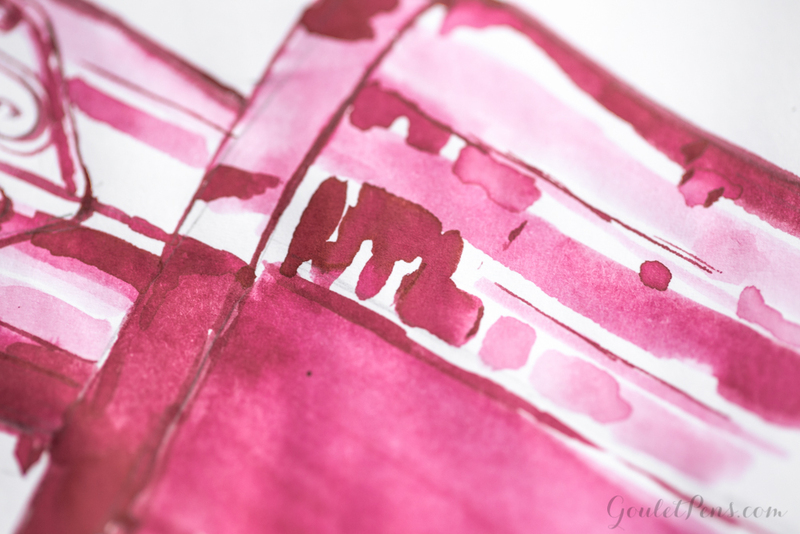 Medium-Low – Compared to other great shading burgundy inks (Diamine Syrah, Faber-Castell Garnet Red, Montegrappa Bordeaux, and Diamine Merlot) this one could have given more. Looking closely at the shading you can see that it flows between a purpley pink and a deep maroon. The shading seems to occur most frequently around the tops and bottoms of the letters. The result is GORGEOUS, but I didn’t achieve as much shading throughout my writing as I would have expected. All in all, a good shader – when you can get it to shade. 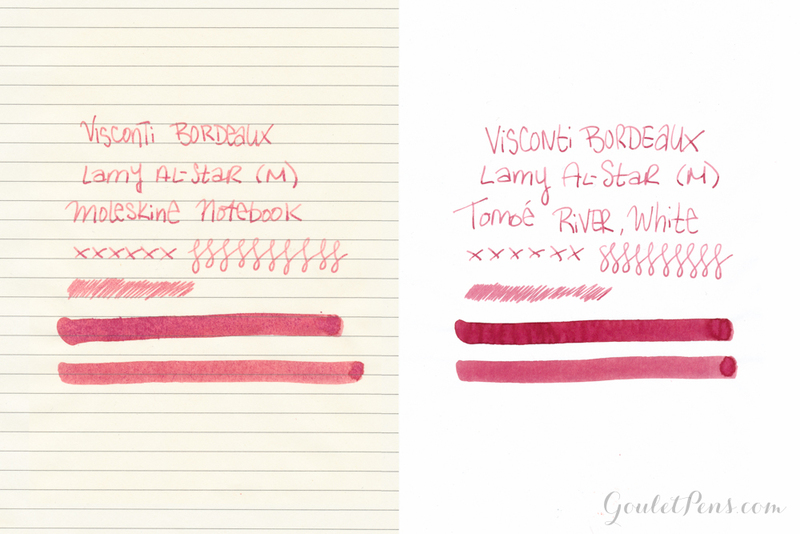 Medium – Bordeaux kept up with my quick writing style and was consistent in flow. The color saturation of the letters wasn’t always consistent throughout my writing but the ink had no signs of skipping or dry starting. Uniquely designed 40ml plastic bottle with the beauty and allure of an elegant glass bottle. 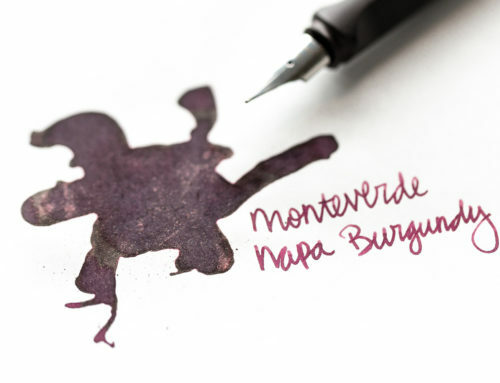 The design of the bottle helps the ink to pool at the bottom, but the small opening of the bottle can make it a little tricky for filling. Turning it on its side could potentially help when the ink gets low, but the angle of the pen might still be a challenge. 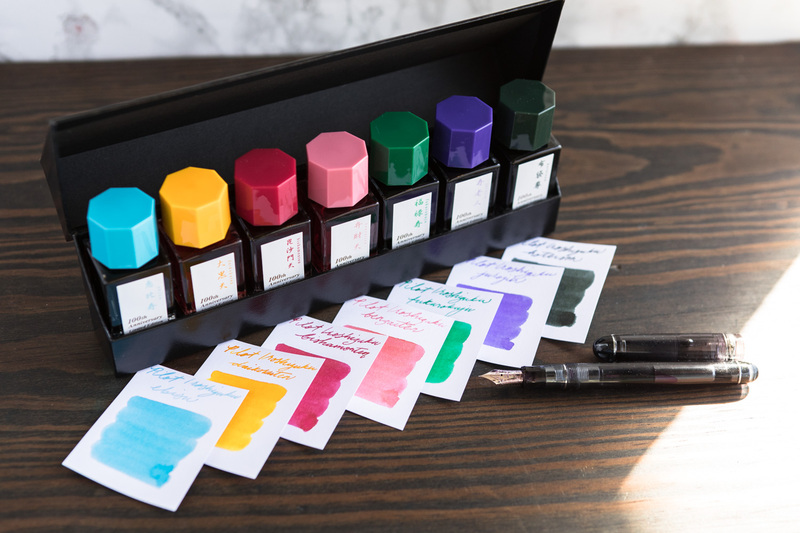 There aren’t too many inks that are an exact match color wise with the Bordeaux but if you are interested in trying out other burgundy inks check out our Ink Sample Package of Reds, Bordeaux. Taking everything into consideration (dry time, shading, saturation, etc), I’d have to say that Visconti Bordeaux comes with a lot of great characteristics. It shades beautifully, keeps up with flow and comes in an exquisite bottle to admire. The color swings between a light pinky/purple and a deep maroon red. 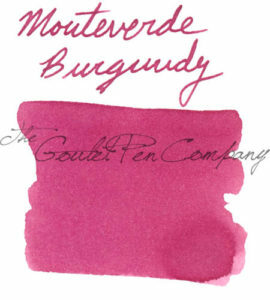 When compared to other burgundy inks that we carry it does lean more towards the red hues rather than purple, so be prepared for that when purchasing. 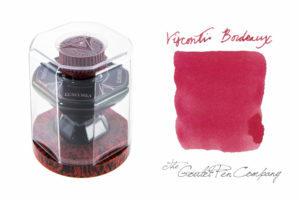 Overall Visconti Bordeaux is a stunning and easy to use ink. For me, the dry time is a little too long to be practical for my writing and/or sketching. 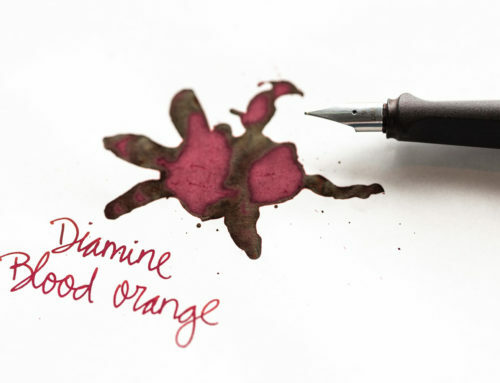 I wouldn’t necessarily recommend this ink for work as the dry time may become an issue. It would, however, be great for personal writing in journals or leisurely writing. 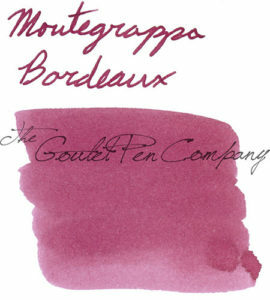 You can find a 40ml bottle of Visconti Bordeaux available for $17.50, a pack of cartridges for $6.90, and a 2ml ink sample available for $1.50 at Gouletpens.com. 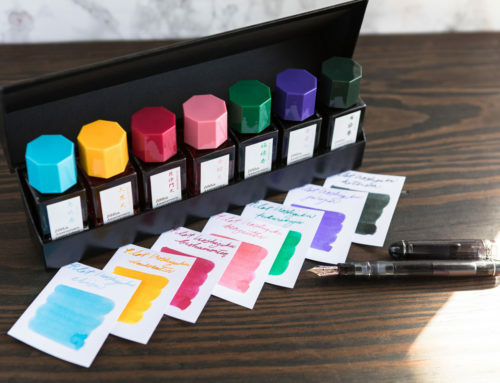 What inks have you tried lately that were breathtakingly gorgeous but somewhat impractical?